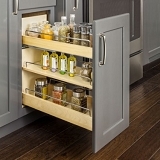 Custom made pull out spice rack made for 9-11 inch wide openings in base or upper face frame kitchen cabinets. Face less or Euro style cabinets are becoming more prevalent in homes and are distinguished by the doors and or drawers being attached directly to the side walls of the cabinet versus onto the edge of a frame that encompasses the entire front of the cabinet. 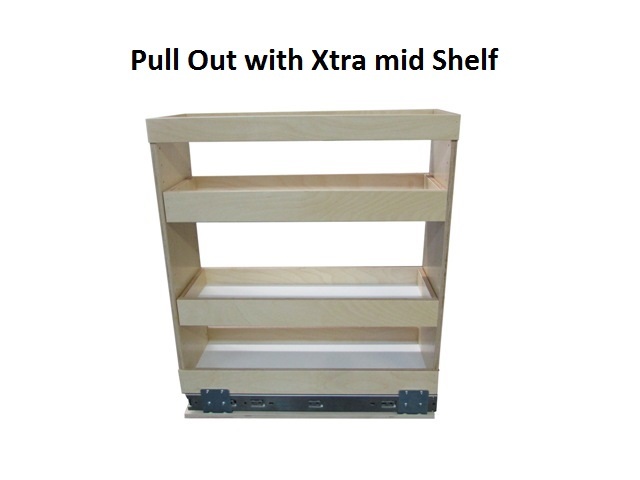 Slide Out Sheves LLC makes available on most pull out shelves and spice racks a base mount option that allows the drawer to be sat into the base of the cabinet or onto a full depth shelf and easily secured with screws. 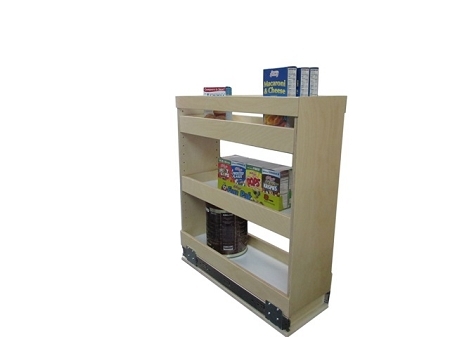 This base mount method is not for face less cabinets but rather face frame cabinets. So what difference does it make? 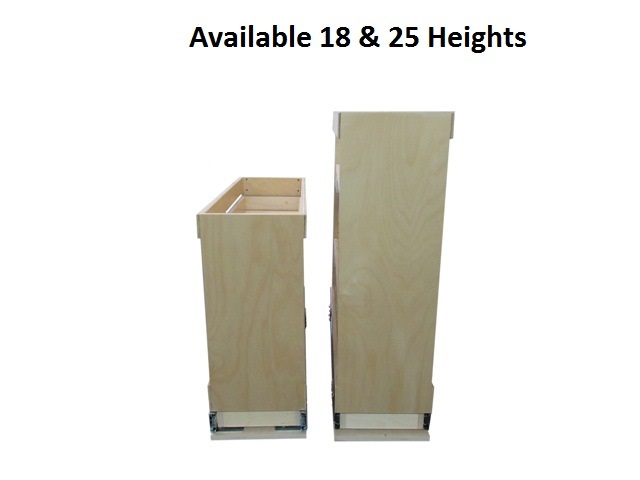 A face frame cabinet has a gap or reveal from the edge of the face frame to the sidewall, This reveal is usually 1/4 inch up to 2 or three inches depending on the cabinet.When we add base mount bracket to our side mount drawer slide the screws that attach the two pieces protrude beyond the measurement calculated in the opening width but because there is a 1/4 to 3 inch reveal on either side of the opening on a face frame cabinet this protrusion is never taken into account as the brackets sits behind the frame and does not need to come through the opening. Frameless cabinets do not have a face frame. The front edge of the cabinet sidewall is the front of the cabinet. When the doors and drawers are closed they cover almost the entire cabinet. The hinges are totally concealed when the doors are closed. Euro style hinges are larger than the traditional framed cabinet hinge and tend to interfere more with the cabinet opening. 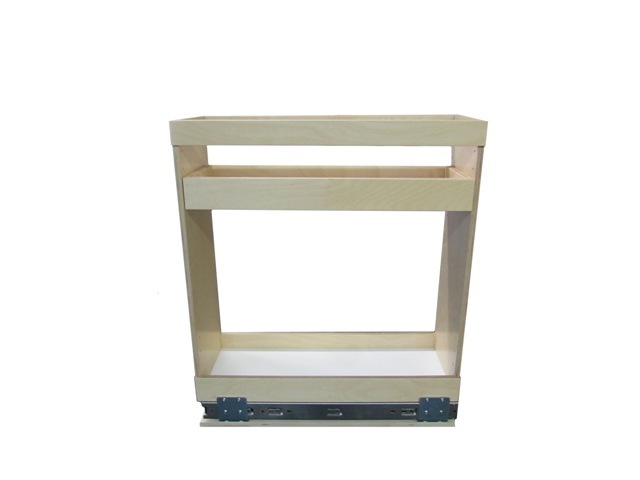 Frame less cabinets often use a 32mm hole system for the hinge mounting and shelf support. The interior width is the same as the opening minus the door and hinge interference. 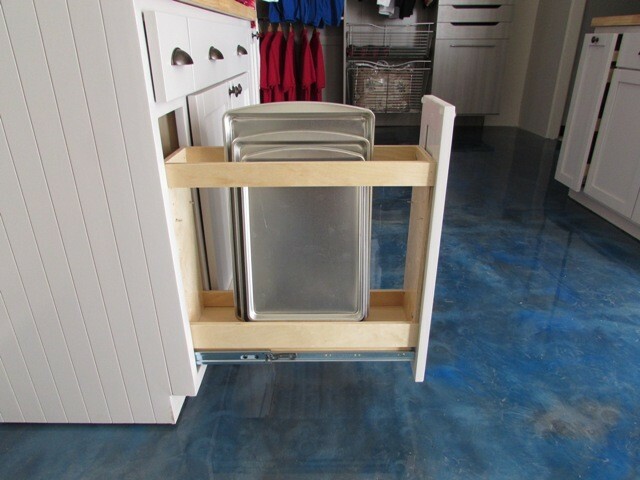 Many newer homes have frame less style cabinets. Frame less cabinets always have "side mount" mounting style.